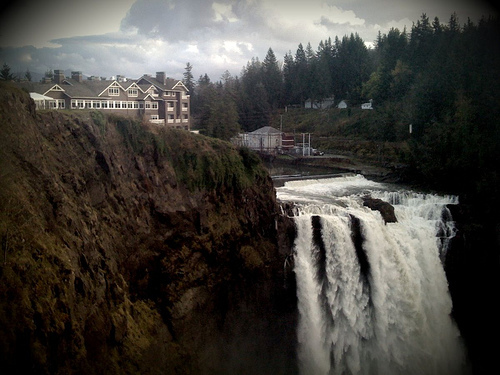 …and made me dream of The Great Northern and Snoqualmie Falls – a place I swear I’ll visit one of these days. Film still from Twin Peaks. 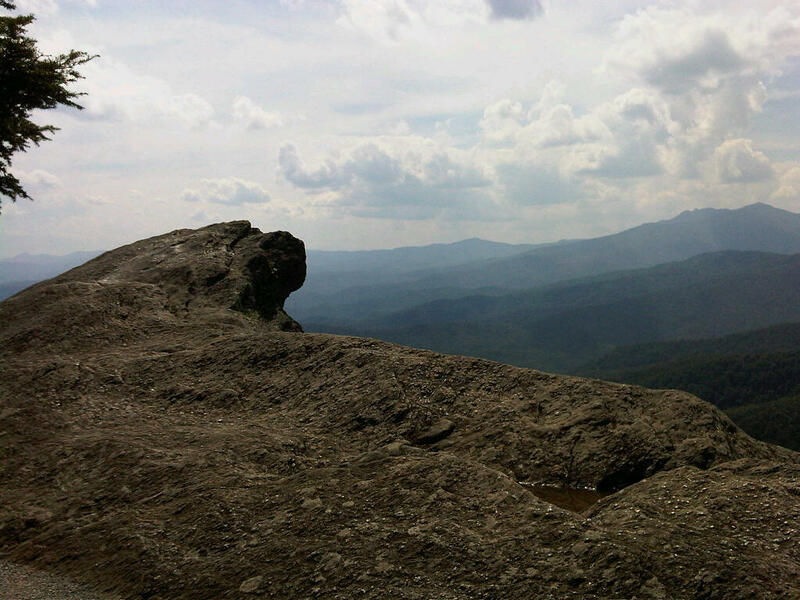 I lived in North Carolina for almost six years and never got out to Blowing Rock even though I had always wanted to go. Eight years later a business trip to North Carolina comes randomly and unexpectedly to fruition this summer, and lo and behold Blowing Rock is just a stone’s throw away from our destination. Nothing beats a little side trip while traveling for work. Word to the wise – the waterfall shown on the website is a hoax – there is no waterfall – just a man-made “fountain.” This became a running joke on the trip – though everyone enjoyed the rock and the amazing view. Curiously you could freely climb the rock (with its sharp drop over a gorge) but there were warning signs all over the dangerous “fountain” which I failed to capture a picture of, because you just have to see it to believe it. …and staring out into the majestically treacherous Blue Ridge Mountains conjured the bleak romance of a neo-gothic Ron Rash novel. 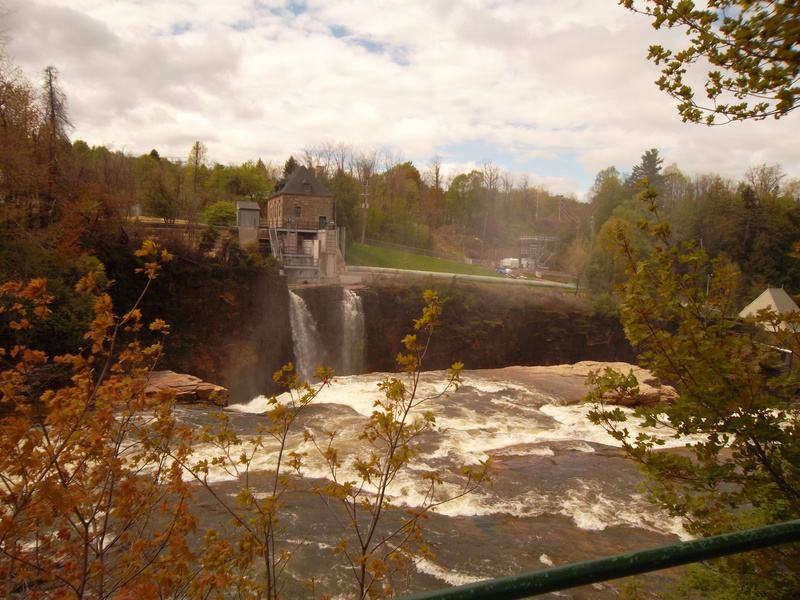 This entry was posted in Inspiration, Photography, Random Places I Have Been, Travel and tagged Ausable Chasm, Blowing Rock, Blue Ridge Mountains, Goodbye Solo, North Carolina, Ron Rash, Snoqualmie Falls, The Great Northern, Twin Peaks, Upstate New York, Waterfalls. 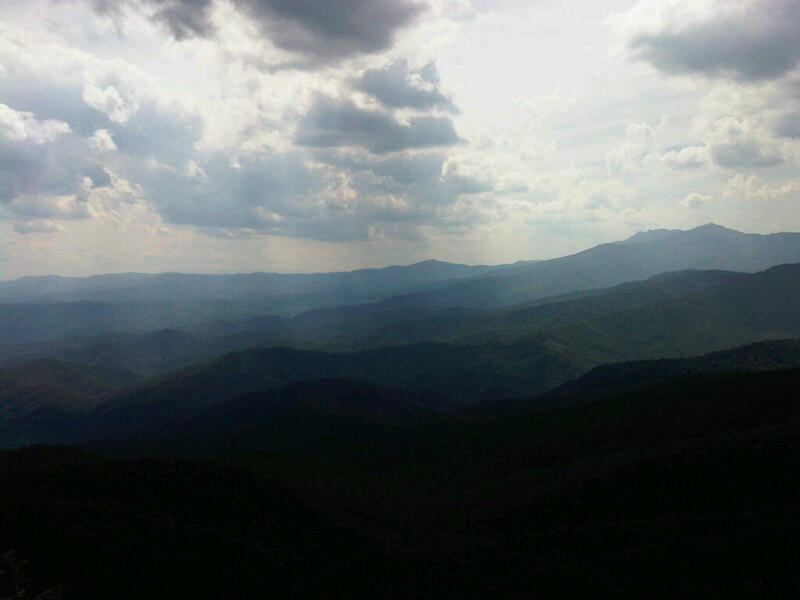 I always love hearing about your trips to upstate New York and seeing your photos. 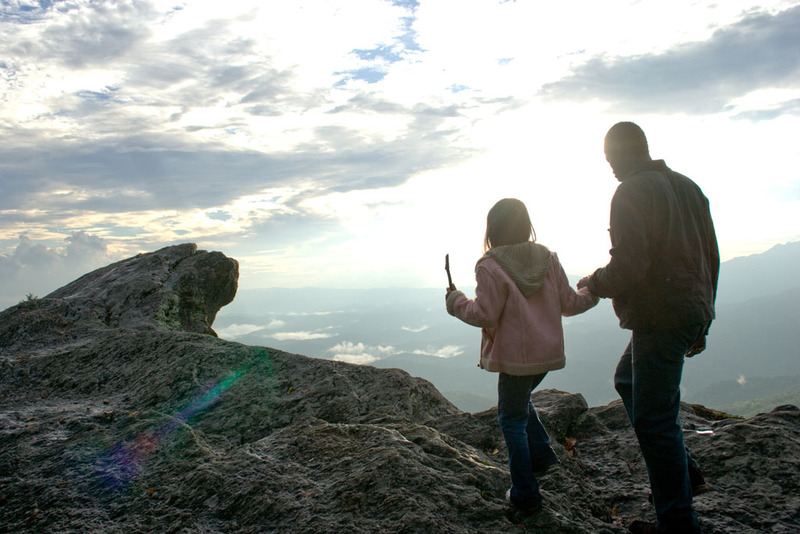 The North Carolina photos remind me of the gorgeous landscapes Michael Mann filmed in “The Last of the Mohicans.” He filmed not far from Asheville, I think. Really reminded me of the area around Lake Champlain which is where Fenimore Cooper’s book is set. Are you going north again this fall for the colors? Cinda – thanks. Not sure if I will make it to Upstate NY this fall, but if not this fall then definitely the next. I’m never too far from a trek up into my favorite hills. Although the places you mention were hitherto alien territory for me, thanks for giving me and fellow bloggers a ‘peak’ into some of these landscapes. Excellent snaps. 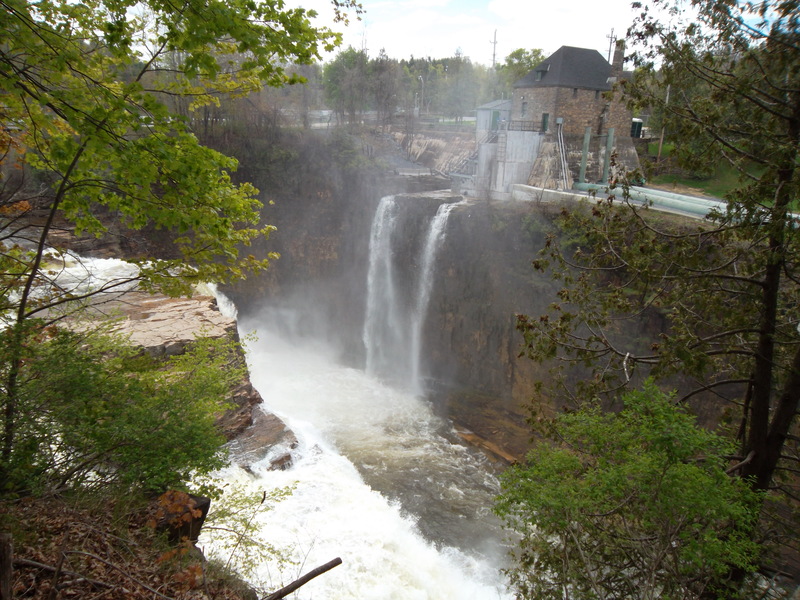 I particularly liked the first one Ausable Chasm–a sort of warm sepia vignette instantly transporting me to the scene. Thanks, Prakash. Do you ever dabble in photography? Would love to see some homegrown shots of territory alien to me over on that side of the globe. The sepia tone up there near the Canadian border is au naturale. The Chasm shots are the only shots ever taken by my new digital camera (alas my old one died after many faithful years and plentiful travel). I can’t figure the dang thing out and have given up. 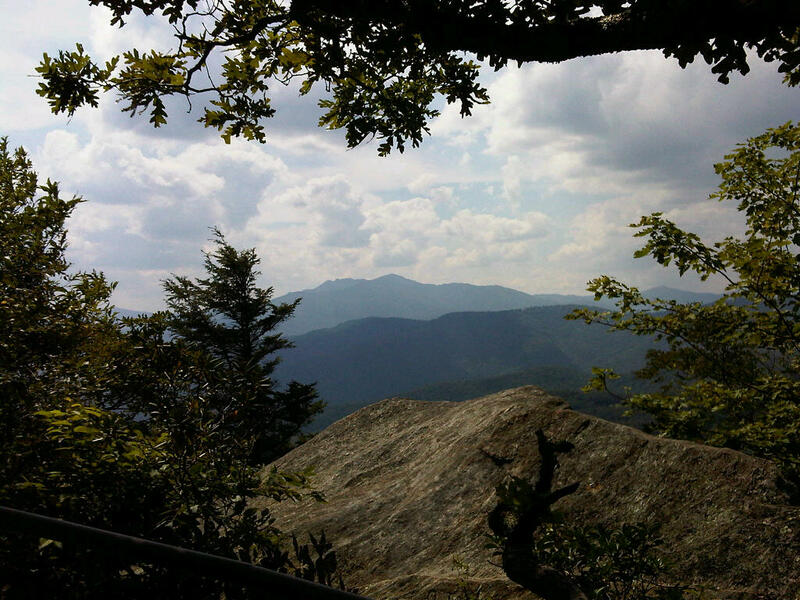 It’s so much easier to just take photos with the camera on my phone – and the ones from Blowing Rock seemed to have turned out okay. And now that you ask, I’m considering posting some on my blog. Even if I don’t, I’ll simply mail em’ to ya. Thanks for this post. It’s cool to see the real locations where films were made. While I probably won’t have the chance to visit the magnificent locales as your photos have shown, here in Alberta we’re not short of film locations. Some e.g. are The Unforgiven, Brokeback Mountain, Open Range, and recently, The Bourne Legacy where Jeremy Renner is soaked in the icy River by Elbow Falls not far from our City. Always interested to see matches of the real and the make-believe. Arti – I did not know Unforgiven and Open Range were shot up there! You learn something new every day.